Click the button below to add the Nightly Scalp Massage #Scalp# to your wish list. It’s difficult for follicles to grow healthy and grow at their natural pace under all the stress received from different methods of styling and unwanted chemical use. In order for hair to grow healthy and strong it must be pampered and treated with care from the roots in order for the shaft and cuticles to maintain a good appearance as well as stay in good health. Try our Nightly Scalp Massage Treatment to give your scalp a well-deserved spa massage to relax the scalp and improve the growth of your follicles. This light weight oil mixed with tips of your fingers massaging throughout the scalp is a healthy routine to follow to remove dead skin cells and flakiness which may lead to hair fall. An extra plus that comes with massaging your scalp is your body’s production of serotonin. The release of serotonin is known to produce a calm mood balancing state. This product will assist in opening the hair follicles and stimulating your scalp to promote thicker healthier hair growth. Massaging the scalp can stimulate hair growth. The nutritive ingredients will help promote healthy looking hair. This will not weigh your hair down and will give you soft shiny hair. Lightweight formula that will not weigh down fine or thinning hair. Filled with nutritive oils, minerals, and vitamins to help nurture dry, damaged scalps for increased hair growth. Provides you with soft, manageable hair. Please use a small amount for best results. Rosemary is known to have an aroma to fill a room to send the senses to feel the pure relaxation and tranquility. While rosemary relaxes your scalp Aloe Vera Extract helps repair your scalp from any dead cells that may be left as buildup. Horsetail Extract is full of minerals to strengthen the texture of the hair. It helps condition your hair and has been used in native cultures for hair growth issues. Atlas Cedarwood has Vitamins A, B, C, E and F. It also protects your hair from heat received from styling tools. Thyme Extract is used to nourish the hair, get rid of irritated scalps. Sea Buckthorn Oil is a potent oil that stimulates circulation, relieves itch and slows down scalp flaking from psoriasis, seborrheic dermatitis or eczema, and it is full of Omega 3-7-9. 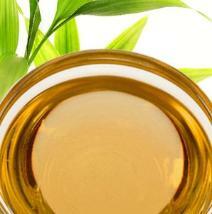 Apricot Kernel Oil, has a high content of vitamin A, C, E and potassium. This lightweight oil is gentle and improves the condition of both the skin and hair. 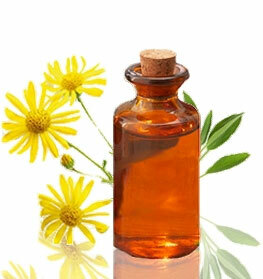 This oil improves the growth and texture of the hair by moisturizing and nourishing the hair roots and strands. Rosemary, Lemongrass, and Ylang Ylang Essential Oils have been used in ancient medicine which have soothing aromatics and will help stimulate the scalp thus improving hair health and growth. Massage it into their scalp once daily. Make sure for extra relaxation to start from the front of the scalp and make circular motion until you reach the back of the scalp. Note to not use as much pressure on the front of the scalp just start gently until you reach midway to the back of the scalp you may then increase the pressure applied to the scalp. It is best if used as a leave-in serum to let your scalp relax without having anything applied to it but the oil at night. Should be used once a week but may make adjustments as desired. If you use this product at night, we suggest covering your head with a plastic cap and secure it with a silk/satin scarf or bonnet to protect your hair from rubbing against the rough cotton sheets and staining your pillows. You can use this product daily, we recommend using this product at least once a week. Depending on your regimen, you can alternate with any other oil products either weekly/biweekly. Only used 3 days ago but I'm going to use weekly from now on! My scalp was so relaxed after using using the scalp massage oil. I suffer with Fibromyalgia so my scalp, neck and shoulders are always tight! After one use, I could feel my scalp give way and relax! The oil & massage really works!